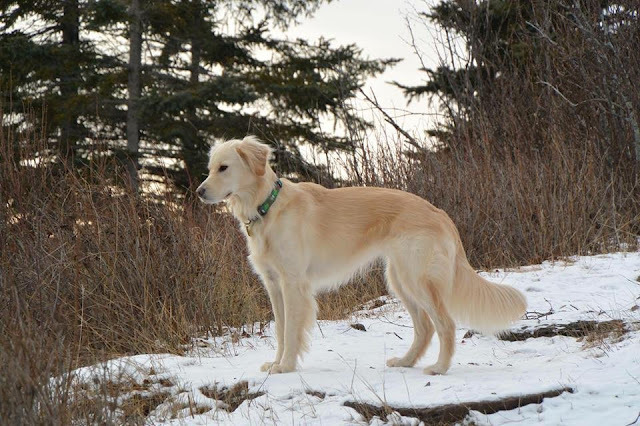 Kenai the pup was on a walk with his owner Kerrie and her friend Pam when he suddenly began barking. Kerrie and Pan went to see was Kenai was barking at, and found an injured bald eagle, which hopped down near the water. 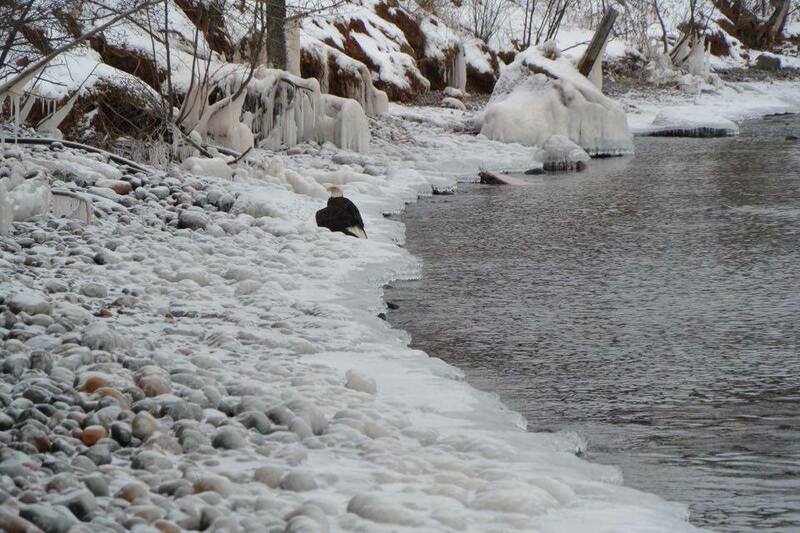 As they approached the bird, he continued to hop down the shoreline. Because it was getting dark, the friends decided to head home and return the next day. 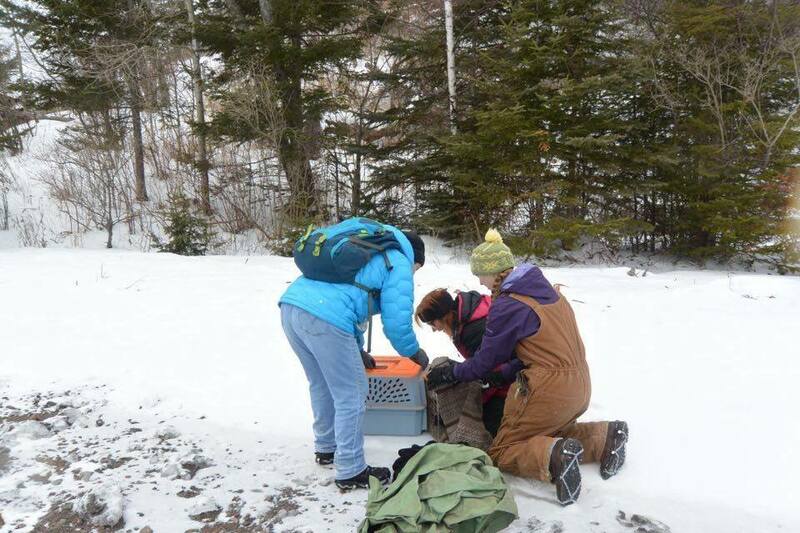 They were able to track the eagle’s movement by its footprints in the snow and contacted the Minnesota Department of Natural Resources for help in rescuing the bird. 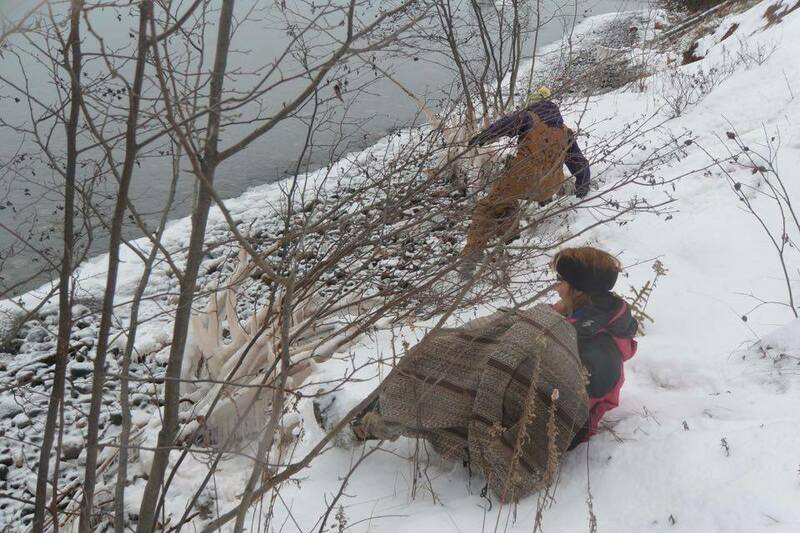 Two women from the DNR arrived on scene and the four worked together to capture the injured eagle. 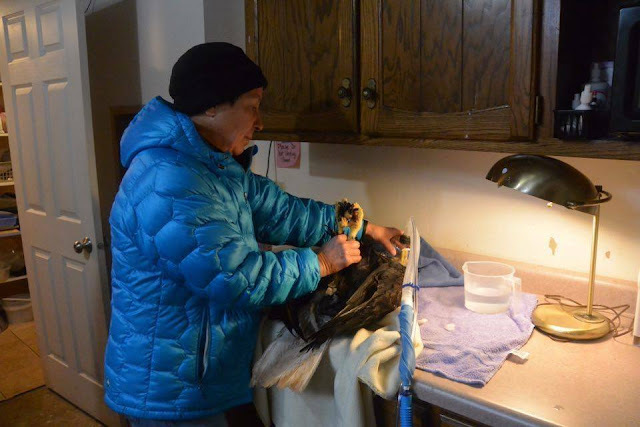 When they finally caught him, he was chilled and his feathers were frozen, so Kerrie and Pam took the bird to Wildwoods, a wildlife rehabilitation organization in Duluth, where he was given pain medication and fluids and had his feathers thawed. Pam and Kerrie then took the eagle to the Raptor Center in St Paul. ‘Their exam showed lead poisoning (yes, again! ), as well as a soft tissue injury of the left shoulder. 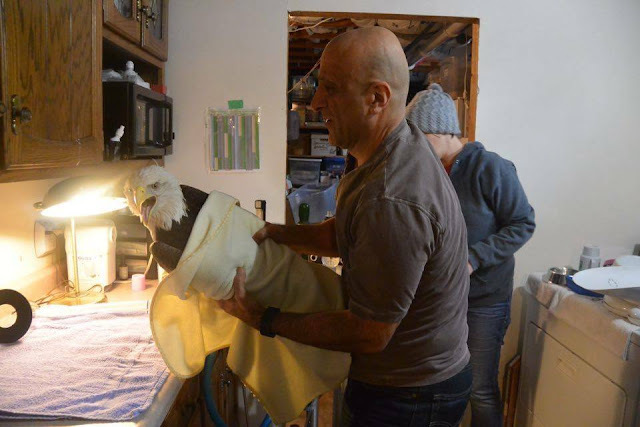 The Raptor Center thinks his chances are fair, and we hope for his eventual recovery,’ Wildwoods said in the Facebook post. 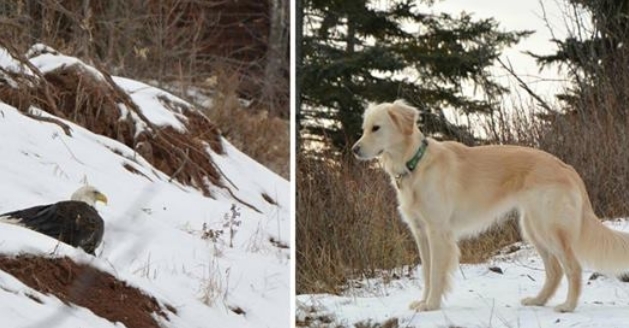 Wildwoods thanked Pam, Kerrie and Kerrie’s pooch Kenai for help in saving the eagle. 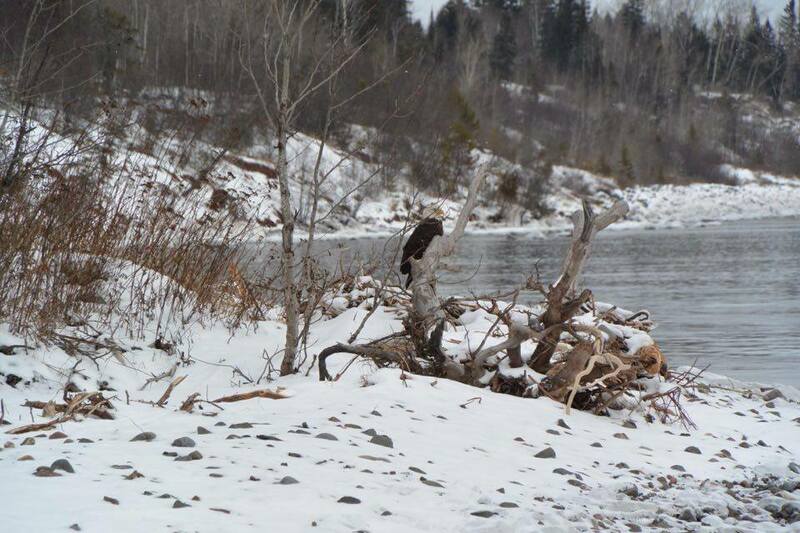 ‘Kerrie and Pam especially credit Kenai and her sharp eyes for spotting this bird so that he could be rescued! Good dog, Kenai!’ the center said. 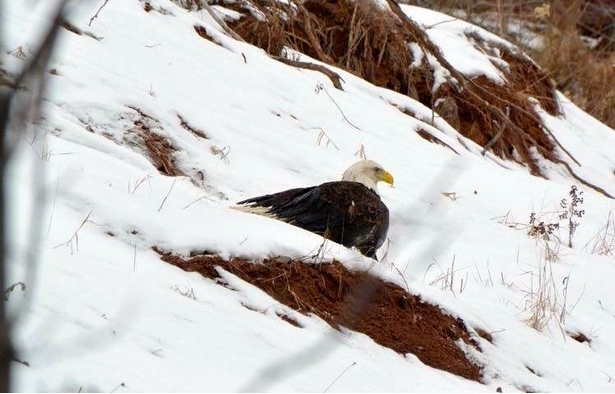 Responses to "Dog Saves Injured Bald Eagle Stranded In The Snow"
Dogs are so smart and caring natured. Thank you to the people who saved this beautiful bird and nurse it to health, and the woman who was kind enough to get him rescued. That's one smart dog there.Quite normal once you consider the breed. You eagle rescuers are unbelievable and I regard you so highly. Thank you for saving him. angels don't have wings, they have 4 legs and fur.